Gorgeous statement necklace by Style Arc. FREE GLOBAL SHIPPING! Gorgeous statement necklace by Style Arc! FREE global shipping! The new Jigsaw Necklace is a resin stone necklace with an adjustable leather strap allowing you to wear it long, or closer to the neck. 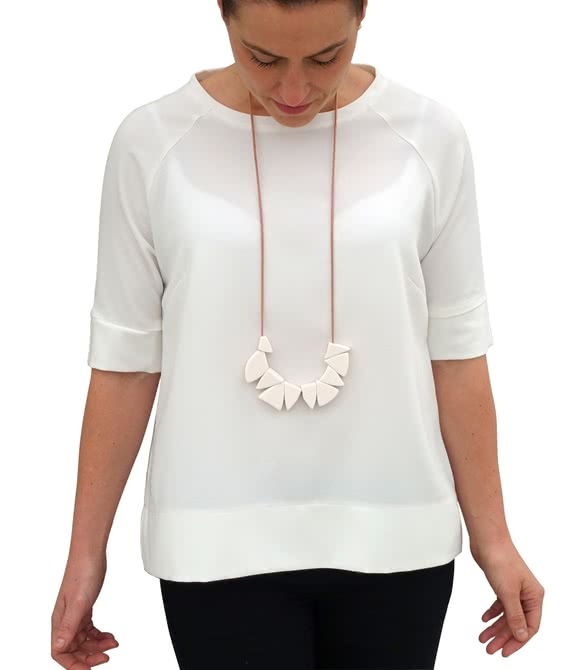 The Jigsaw Necklace length is adjustable with a subtle metal clasp. 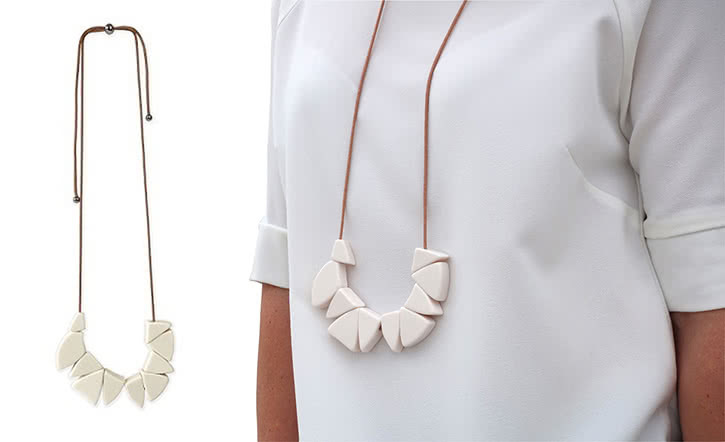 A statement necklace can turn a simple outfit into something special. Many styles in the Style Arc range not overly embellished – they are simple and chic, with clean lines perfect for a statement necklace.